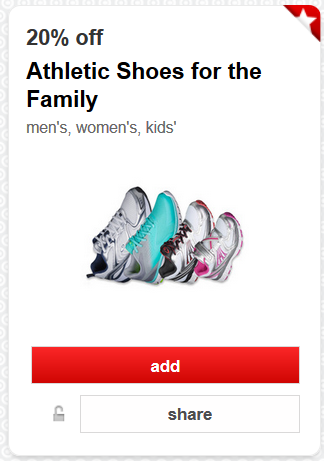 There is a new Cartwheel offer for 20% off athletic shoes for the whole family that just popped up. Brands include C9 by Champion, S Sport Designed by Skechers, and Shaun White. Offer valid through 3/7, limit 4 per guest. Excludes all other styles and clearance.